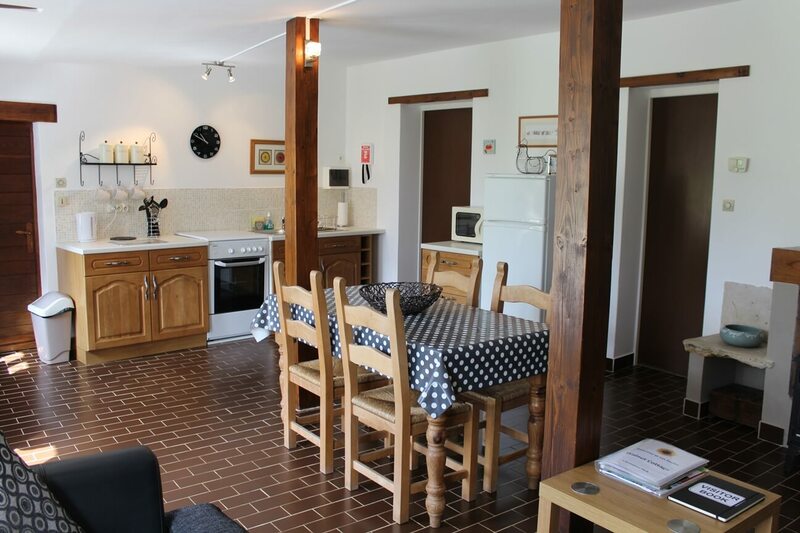 Double bed en suite gite, on one level. 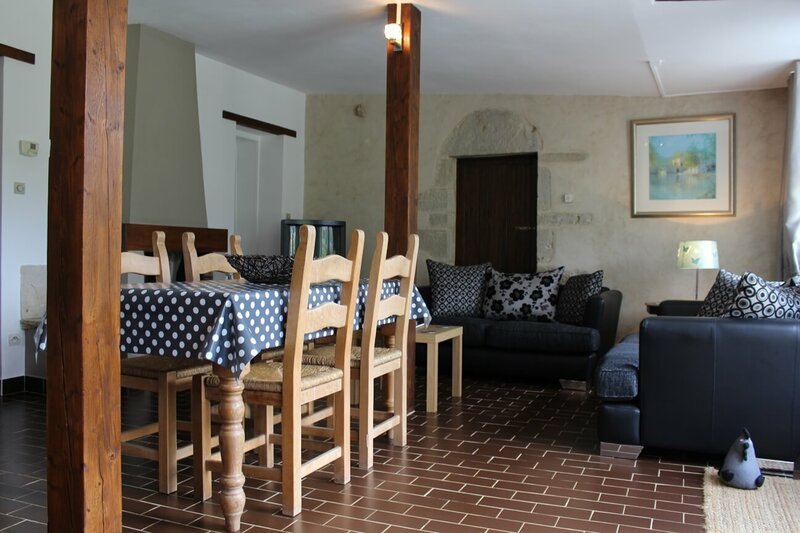 For a relaxing holiday, romantic break or ideal area for house hunting. Open plan kitchen, lounge, diner. Fitted kitchen units with gas cooker, fridge freezer, microwave. Dining table, satellite TV, DVD player (some English DVDs available), log burner. Double bedroom with en suite deluxe corner shower cubical. Utility room with washing machine and ironing facility. Terrace area, table, chairs, barbecue and fantastic views. Secure 10m x 5m pool, solar shower, sun loungers. 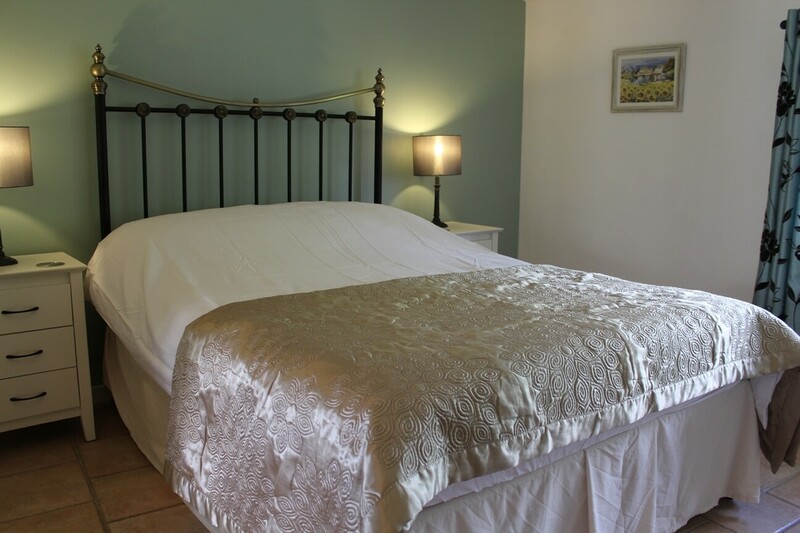 Bed linen and towels are provided as well as a generous welcome pack. 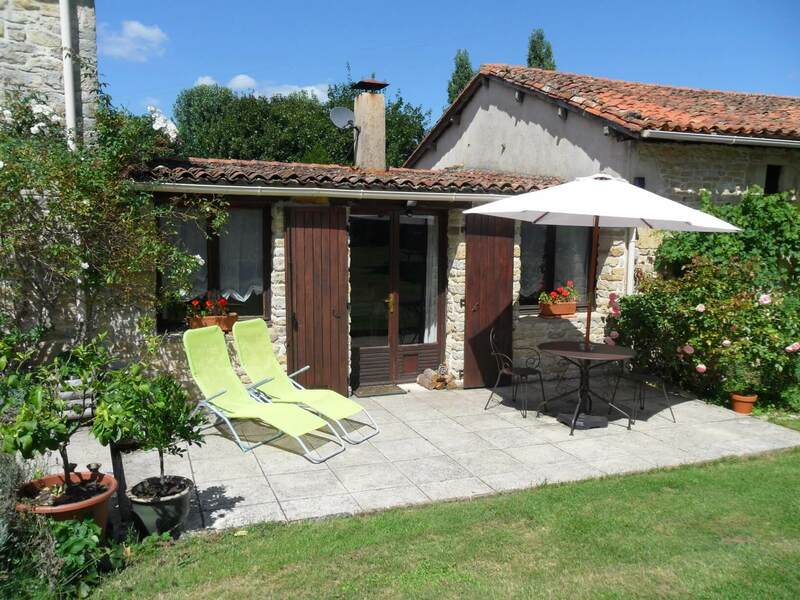 This gite has a wood burning fire (as well as central heating) which makes it ideal for Winter lets. Ask us for information on this if you are thinking of staying over the Winter months i.e. Christmas, long term lets.